Is Rain Collection a Trend? The rise of the rain collectors may sound like a scary Halloween prank, but it’s a trend not to be ignored. According to a recent article published on Earth911, more and more folks, from millennials to baby boomers, are learning how, and then capturing the rain, to mitigate higher water bills and help in conservation efforts, largely due to drought, but also associated to aging infrastructure. Do you know that by capturing one inch of rainfall from the roof of a 1,000 square foot home, it means you could save up to 312 gallons of water (or what amounts to almost eight, 40-gallon baths). If you want to know how much rainwater you might collect from your roof runoff, browse to the United States Geological Survey (USGS) rainfall calculator, which can estimate rainfall in areas from a couple square feet to several square miles. 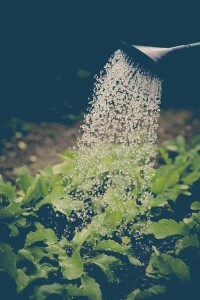 Rainwater collection isn’t only for the home gardener. Businesses are using collected rainwater for washing vehicles and toilet flushing facilities. Schools are collecting rainwater for community gardens and new multi-family construction could collect rainwater for potable use for tenants or homeowners. As rain collection trends, it can create a confusing frontier of information and solicitations. If you decide to have a system professionally installed, we encourage you to know whether or not your chosen contractor has the accreditation and experience needed for a properly installed, potable or non-potable system. Visit ARCSA (The American Rainwater Catchment Systems Association) to search for a designer and installer with the knowledge and experience to meet your needs. As pervasive drought and aging infrastructure affect our ability to have enough water to meet our household, agricultural and commercial needs, rainwater collection has become a necessary avenue to meet public demand for potable and non-potable water. This post may help you decide among the 5 primary storage vessels when considering a rainwater collection system. Whether you’re looking for a potable, or non-potable system, storage is always a big decision in the design and installation of a rainwater harvesting system. RainBank Rainwater Systems has experience in installations of buried tanks, plastic above ground tanks and steel tanks to meet its customers’ storage needs. Buried tanks have less visual impact than that of above ground tanks. Careful planning and engineering is required for this type of installation. Care must be given to surrounding vegetation and tree root systems. Grading and drainage requirements must be met so impact is reduced. 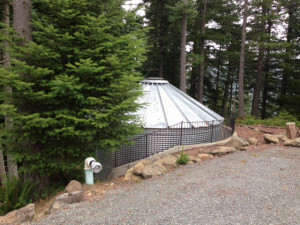 Steel tanks generally can have increased volume and are usually constructed in more of a rural environment. Steel tanks require an engineered slab and must meet seismic requirements. Many find that the industrial look is aesthetically pleasing. Plastic tanks are the most cost effective and come in many sizes from 50 gallons to 10,000 gallons. Multiple tanks can be manifolded together. While most are guaranteed for UV protection, shading from the sun will increase longevity of the tank. Slimline tanks offer a compact install for the urban customer, requiring little area for storage. They can be connected together to increase volume. Cement vault storage under the dwelling can be achieved with proper engineering. This type of storage allows a large volume with no visual impact or area used up for the cistern other than below the structure itself. Care must be given structurally, as well as moisture and condensation concerns need to addressed. With more than 15 years designing and installing rainwater collection systems in Washington, Oregon, and other states, RainBank Rainwater Systems has the experience, knowledge, and engineering to get the job done right the first time. Skagit County Health and Planning Departments allowed construction of a rainwater collection system as the primary source of water for construction of a new family residence. As many as 5,000 property owners may now have a solution to a well moratorium that has been imposed in the river basins because of instream flow rules. Chris Webb of Herrera Environmental designed the 10,000 gallon potable system to supply the residence with enough water to support a family of four, year round without another water source. 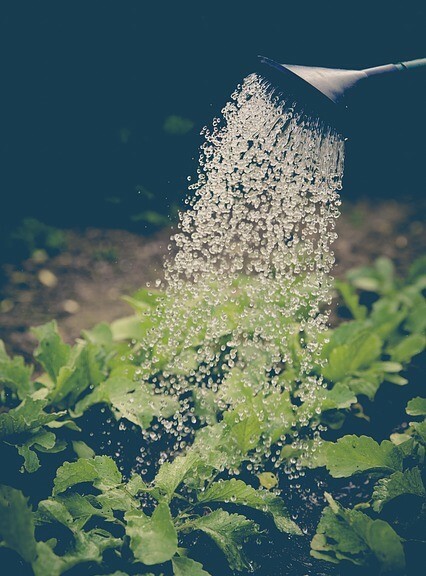 Filtration, along with ultra violet disinfection, will treat the rainwater to a quality standard which surpasses groundwater and most well water. Water samples will be taken and sent to a lab for testing with results shared with the Skagit County Department of Health. RainBank will work with Skagit County to help set standards for rooftop collection for potable use, with the hopes that the practice will allow property owners in the affected river basins to have a viable source of clean, safe drinking water and be able to develop their properties. Other counties in the Puget Sound region have recognized rainwater collection as a supplementary source to wells, city water, and community water sources and sole source use in conditions that a traditional source is not available. RainBank Rainwater Systems, with 15 years experience in designing and construction of sustainable, potable rainwater collection systems is committed to educating the public and county officials in the benefits of rainwater collection.